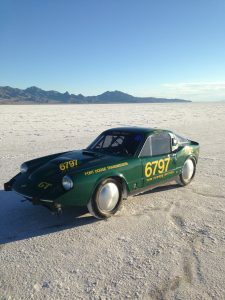 Our Vintage 1968 Saab Sonett II breaks it’s own World Land Speed Record for 750cc engine (“J Class”) and even EXCEEDS the 1,000cc (“I” Class record) with a return run of 122.033 MPH at Bonneville International Speedway August 14, 2013. This 750cc two stroke engine was putting down over 100HP to the wheels on a Mustang Chassis dyno. It’s hard to see but my iphone (Speed app) is on the left next to the red battery kill switch. 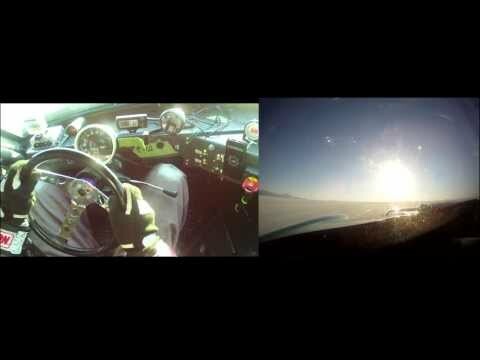 The shift to 4th is at 95mph and I am at 109mph by mile 1. 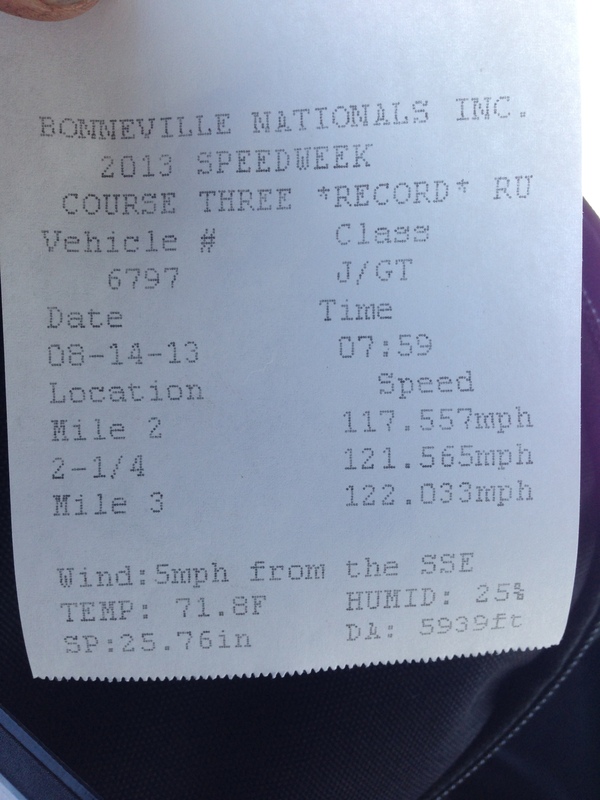 I am at 120 mph by the start of mile 2. Exit speed was 122 mph +. The busy crew just as we were told “start your engine!”…..the excitement is still there! Sunrise is the best time to be on the Salt! 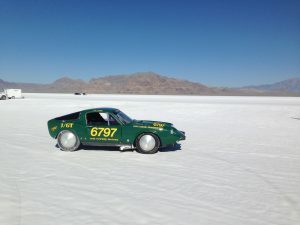 Good results from Bonneville this year. 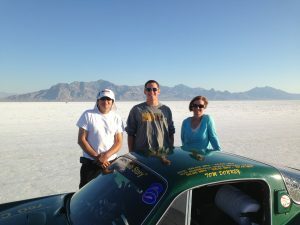 With an almost all new pit crew, David Roe, Issac Poldervarrt, and my wife Patti we jelled into a real “pit team” and Bumped our record 3 times!! 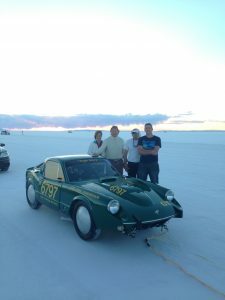 We ran in the GT body class again this year (2 seat sports car). 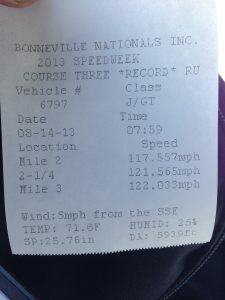 Our 2012 record was 115.619 mph. 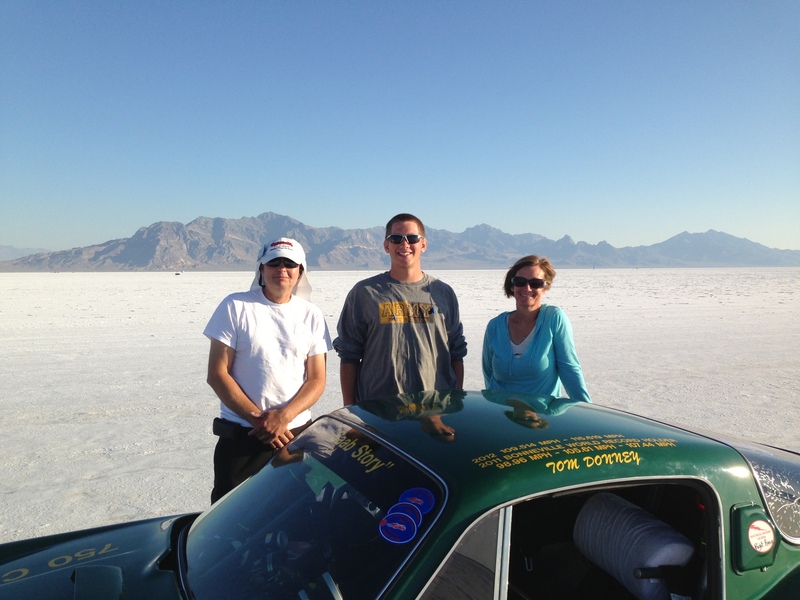 The 122.033 mph run on 8-14, was our fastest speed. 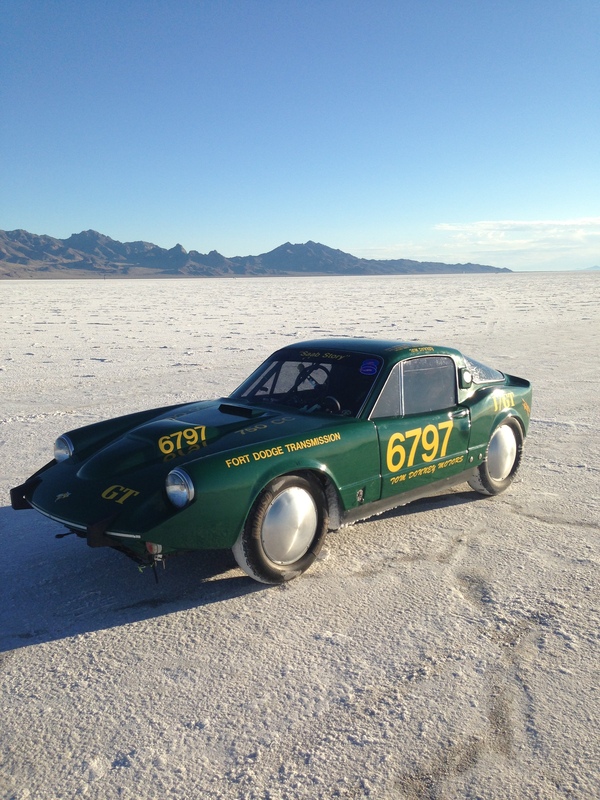 The 122.033mph exceeded the next engine class size (“I”) record for engines upto 1000cc! 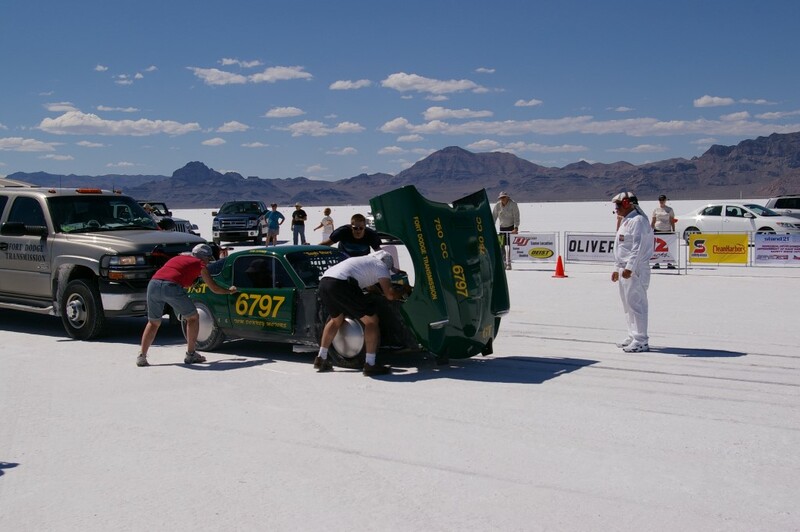 That is rare to see when a smaller engine exceeds the record of the large engine!! Last year, and even early in the week this year, they said we could Run as an “I” class with our smaller engine. Rule interpetation is very hard. 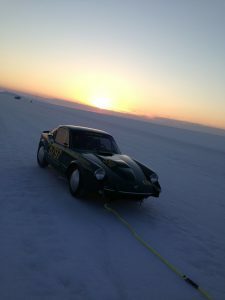 After that we set everything up to the edge of “go or blow” since we only had 1 day left and it takes two days to set a record. 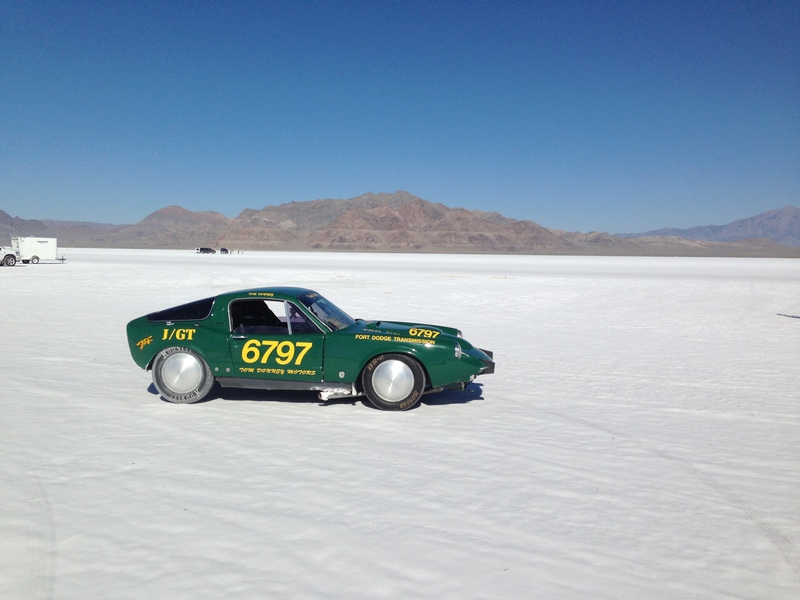 No luck on final 2 runs as they heat of the day (99 degrees) got the better of us. 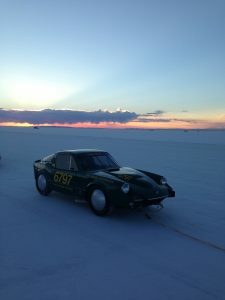 The funny thing is our fastest top speed (still only 750cc ) engine still sat in the trailer and we never swapped it out. 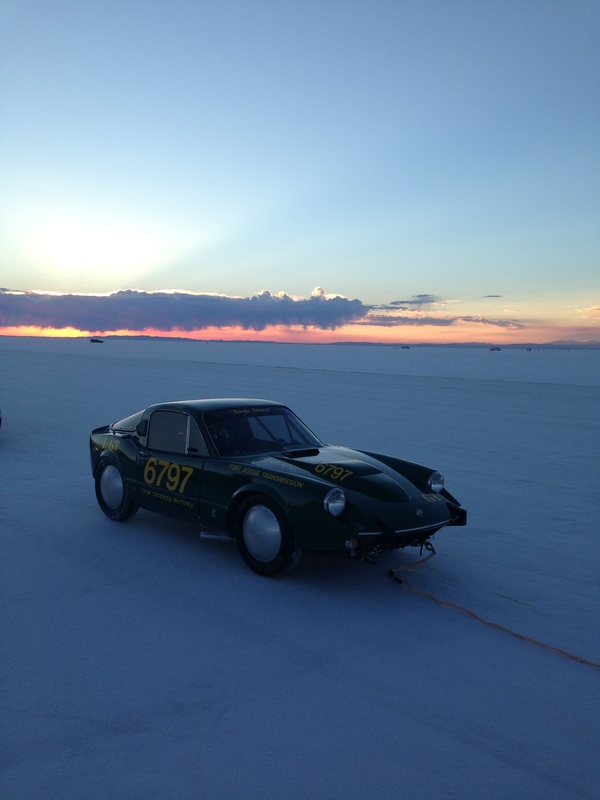 Once we were informed we could not run our 750cc engines in the 1,000cc class we lost interest with the heat to swap it “just for fun”.